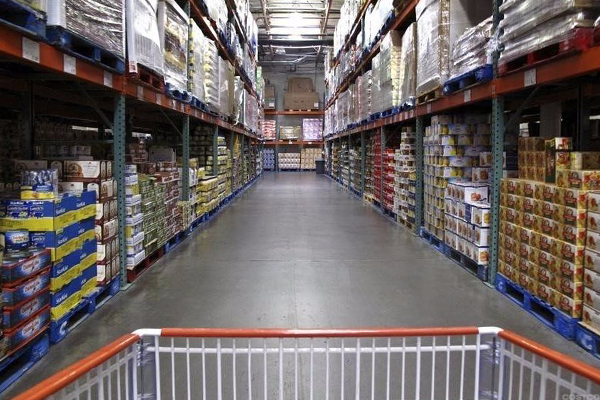 It may be time for Costco (COST - Get Report) to get creative to compete with a heated rival. Since the acquisition by Amazon (AMZN - Get Report) of Whole Foods (WFM was announced June 16, Costco shares have fallen about 10%, compared to an overall S&P 500 increase of 0.5% during the same period. Even after reporting solid June same-store sales growth on July 6, shares have continued to lag. "Investors are more concerned with how the Amazon/Whole Foods acquisition - announced on June 16 - will impact your business model 12 months from now than your ability to generate strong results for the next four quarters," Barclays analyst Karen Short wrote in a scathing open letter to top Costco executives recently. "Given the potential that long-term concerns will overshadow near-term results, the only solution near term, in our view, is to convince and communicate to investors that you have a real and defensible strategy in an ever changing world." Short's primary suggestion is that Costco expand its e-commerce offerings, an area where the company has traditionally lagged. For example, in its most recent quarter, Costco grew its online sales 11%, compared to a 63% e-commerce sales increase at Walmart Stores Inc. (WMT - Get Report) and a 22% increase at Target Corp. (TGT - Get Report) . "An e-commerce wholesale retailer of consumables - regardless of whether it has a membership fee - would be a great fit, in our view," she wrote. Costco should also figure out solutions to solve its resistance to "click and collect," although shoppers at Walmart's Sam's Club warehouse store chain "have shown they enjoy the convenience offered by this service since club stores are large, often difficult to navigate, and take a long time to shop." Or, Costco could go bold and sell itself to Walmart in a bid to drive down food costs and beat down Amazon in the process. Walmart's best option is to acquire Costco Wholesale Corporation said Brittain Ladd in an interview with TheStreet. Right now, says Ladd, Costco isn't connecting with the wealthier shoppers that populate Target Corp. , Amazon's website, and Costco. Furthermore, Walmart needs to shock the market with an acquisition like Costco in order to make its company more exciting to shop from than Amazon. Currently, when people think of online shopping, they automatically think Amazon, not Walmart. "The main difference between Walmart and Amazon is that Walmart sells groceries, while Amazon changes consumer behavior," Ladd explained. When Apple Inc. (AAPL - Get Report) released the iPhone there were a number of other phones on the market, but Apple made their product exciting enough that it was able to change consumer behavior and become the dominant phone seller. Walmart has to carry out the same task in the retail industry, and the best way to do that is through buying Costco. If these other traditional retailers can't pluck up the courage to make bolder M&A moves to become more competitive, then in 10 years Amazon will absolutely be the largest company on earth and dominate retail and many other areas, including banking and pharmaceuticals, Ladd said. "Amazon is just a toddler at this point," he said. "That's how much room it has to grow." Costco shares rose 0.1% to $151.69 early Wednesday afternoon.